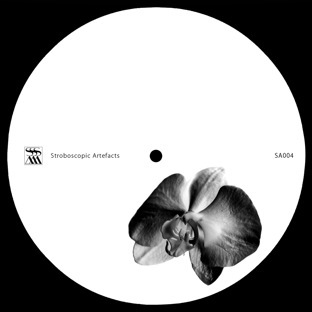 SA004 features two exceptional remixes of Lucy & Ercolino’s last 12” on Stroboscopic Artefacts. The A-side “Gmork” is given the darkly elegant techno treatment by someone who needs no introduction: Luke Slater. On the B-side, Dadub rips into “So The Nothing Grows Stronger” with a massive dub agenda, showcasing the meeting point between the UK dubstep scene and Berlin’s formidable techno output. Techno pioneer Luke Slater, AKA Planetary Assault Systems, remoulds and rethinks “Gmork” in the studio, giving the track his twisted hallmark. He takes the original elements of “Gmork” and weights them base-side-up. In his hands the track becomes more dizzying, disorientating and hypnotic than before. Dadub’s retreatment takes the original material and reconfigures it using subtractive synthesis. The analogue process assures the track’s bespoke, simmering atmosphere. Silent Servant Luke slater remix is awesome!!!! really like the b-side as well... solid release.both will get charted. Peter Van Hoesen The word 'massive' seems appropriate. I think this is about as much bass as anyone can handle. Great release, both tracks. Par Grindvik 5/5 pure love! thanks for keeping such a high level! truly inspiring! Adam Beyer Quality! Slater for work and Dadub for home. De:Bug This is an amazing release. I Love the patience that Luke Slater puts in the remix. No hocus-pocus. Dadub-mix has very comfortable vibe, without loosing its drive. FWD Entertainment Amazing release. Both remixes are great. expect a great review on FWD. Mnml Ssgs Slater remix is keeping with his recent PAS guise material: intense techno atmospherics with some stellar sound design. Dadub providing great dub elements and interesting percussion. Tillate Essential stuff. Single of the month on Tillate Magazine.